A Brazilian native of Japanese descent, Juan Caio Kamezawa, was regarded by the end of 2012 as one of the hottest Jiu Jitsu prospects in the world, since then the Fábio Gurgel and Luciano Nucci (Casquinha) black belt from the Alliance academy has confirmed this status with several podium spots at the sport’s toughest tournaments, including a gold medal at the Brazilian Nationals in 2013. Juan Caio Kamezawa was born in Suzano, state of Sao Paulo on the 13th of January 1988. He started dipping his toes in martial arts through Capoeira when he was 8 years old, an activity he did not pursue for long. 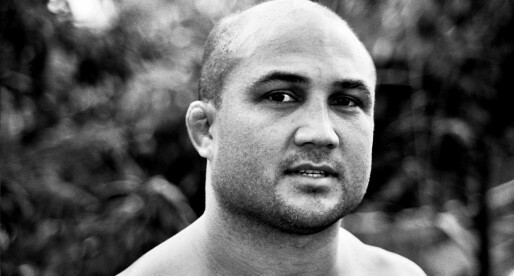 His interest for Jiu Jitsu arose when he was 16 years old watching Rodrigo ‘Minotauro’ fight in Pride FC in Japan. Juan Caio Kamezawa was in Japan when he started his Jiu Jitsu training,choosing Cristiano Kaminishi to be his first coach. Training for the Purebred team from white to purple belt, he was graded my Mario Reis who was the team supervisor at the time. Due to Juan’s life style, he spent much of his time in between Sao Paulo and Japan, choosing to train at TT with Fernando ‘Terere‘ while in Brazil. When TT closed down Juan Caio (a blue belt at the time) moved to the Alliance team together with his team mate Rubens ‘Cobrinha’. In Japan he also trained with Mauricio Dai, from the Bon-Sai team, earning his brown belt from Mauricio (brother of Roberto Satoshi). His black belt was awarded by Fábio Gurgel and Luciano ‘Casquinha’ on December 2012. 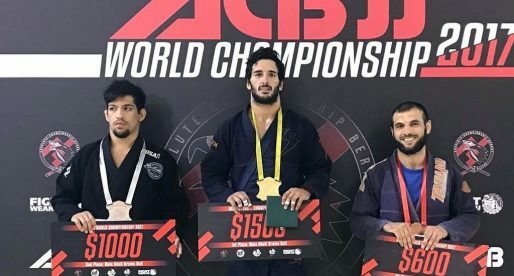 At his first big competition as a black belt, Juan Caio showed his skill, submitting former Pan American Champion Carlos ‘Portugues’ Vieira and then losing a razor sharp decision to a tough competitor, Zak Maxwel. Kamezawa worked harder and returned to a big competition a few months after this, the Brazilian Nationals, winning the tournament in style and proving his potential at a world class event. Original photo by BJJ Forum.